MY MISTAKE: I accidentally sent one of the "Tip of the Day" emails this weekend to the entire newsletter mailing list instead of patrons only. If you're wondering why you got that, and why clicking on the link talked about needing to login to the members site - that's why. The members site is intended for folks who signed up to be Ask Leo! patrons and folks who've registered their Ask Leo! book purchases. Again, I'm sorry for the confusion, it was completely unintentional. Reminder: if you actually want to start getting the Ask Leo! Tip of the Day at the current $2/month Ask Leo! patronage level, you'll want to do that today. To become a patron just visit Patreon.com and sign up. Your support helps me keep doing what I do: helping more people become more confident using their technology. So much of our important data is stored digitally now. 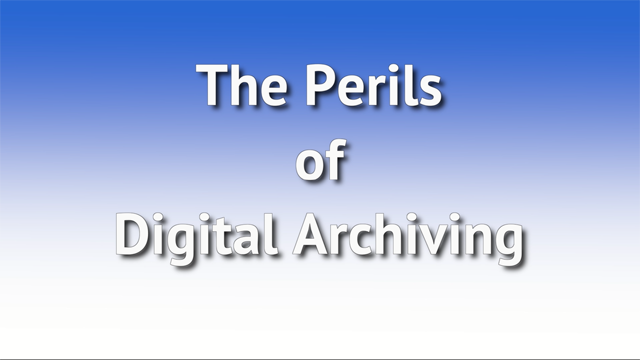 But what does that mean for future archives? Will our important documents, images and music be readable one hundred years from now? When I visit a web site, are they able to identify my IP address? If so, how can I block them from being able to identify me? To begin with, I think you're confusing two different issues. Your IP address doesn't really identify you, personally. But, absolutely, web servers see the IP address you're connecting through when you access them. And unless you've taken steps, you'd probably consider it "your" IP address. Continue Reading: When I Visit a Web Site, Can the Server Identify Me? What are your thoughts on automatic updates? Windows updates, but also automatic updates for my spyware and antivirus programs. I have several and I have automatic updates turned on on all. Could this lead to problems by leaving my computer open to the net? This one's easy: I love automatic updates. Let me explain why, and how to make sure your automatic updates are safe and doing what you think they are. I'll also explore one area where things have gotten worse instead of better over the years. Continue Reading: Are Automatic Updates a Good Thing? Macrium and EaseUS Todo - Backup - Installed PRE-OS. Typically communications between one computer and another – particularly via the internet – travel across several different devices that are also shared with other devices and computers. Depending on how those devices are configured, it may be possible for a communication traveling across that device to be "seen" by other devices not actually involved in the conversation. The most common example is an open Wifi hotspot, where all wireless communications between computers and the hotspot itself can be seen by any other computer capable of wireless communication within its range. Sniffing can be protected against in several ways, but the most reliable and common is to encrypt the conversation. The data might still be sniffed, but because it has been encrypted, it cannot be understood by anyone other than the parties actually involved in the conversation. Think of it as those two people near you speaking in a foreign language, or a language known only to them – you can hear the conversation, but you have no idea whatsoever what's being said. Sorry, but your homespun statistics are absolutely meaningless. If you actually understood how batteries work - and what can cause them to explode - you'd know that the risks of explosion can increase exponentially over time. Below is quote from Don Sadoway - a professor of Materials Chemistry at MIT - in relation to a previous case of exploding batteries (unlike the source you mentioned, Don is actually very credible). "What happened there was, somehow during the manufacturing process, very tiny particles of metal had ended up in the electrolyte . . . under the action of electric current, these metal fragments aligned, and they eventually formed an unbroken chain of metal from one electrode to another. So then you've got the current shorting through this filamentary wire, if you will, so you've turned the inner electrode gap into a toaster oven. That causes all of the current to short, and generates a lot of heat, and that causes the electrolyte to bloat, and then the next thing you know, it explodes." So, if the Note 7 explosions are being caused by the same problem - and we have absolutely no way of knowing whether that is the case - then it's quite possible that the rate of explosions will increase over time as the metal particles floating around in the batteries gradually allign and form solid connections. What this means is that the more you use your device, the more likely it is to go bang. In fact, it could be the case that every Note out there will eventually go bang. I sincerely hope that you'll alter this post and make a clear recommendation that people follow USCPSC and Samsung's advice and immediately power down their devices. And on top of that just why is it that we no longer read any incidents of Note 7's having issues.....while hundreds of thousands of the device are still used every day? The problem is that the probability you present is based on the number of failures in roughly one month of service, if we assume the phones went into service at a more or less steady rate. It is not a valid predictor of future failure rates because we don't know what the root cause is. If it is a defect of the "infant mortality" type - it either fails in a month or so, or doesn't fail at all - your conclusion is valid. If, on the other hand, if the defect is one that gets worse with time - say, through the thermal cycling of charging - your conclusion is invalid since the probability of failure will rise with use. We will probably never know which kind of defect it is, unless Samsung tells us, since the bulk of the phones are out of service now - we will not have failure counts based on longer service or larger numbers. In the situation you describe, I too might hang on to the phone for a while, but if it was beside my bed at night it would be in a tin box sitting on a piece of drywall. 1. I'm sure I have old files that can't be read any more from my Atari word processor, spreadsheet and database, however, I no longer have either the machine or programs to read them. Some I saved in txt format so I can still read them. 2. That backup drives will no longer connect to the new 2035 PC ports assuming that we are actually still using PCs then. I have old hard drives with various different connections, IDE, SCSI, SATA, USB, etc. SCSI is pretty obsolete already. 3. That the backup drives will seize up or be rendered useless due to magnetism, moisture, heat, cold, radiation or some other physical damage. 1. There may be software out there to read the old file formats. Sometimes it's possible to retrieve the contents of files while losing the formatting, but that also usually involves some after-the-fact clean up. 2. Once again, this is an argument for always migrating data forward to current technologies on a regular basis. What's current today will hold you for a while, but will not be current forever. 3. If the data is in only one place, it's not backed up. By that I mean if the failure of a single drive would cause you data loss, then you're not properly backed up. Why Aren't You Creating Content? Keeping a website fresh with good content is critical for business success. So why is it so easy to stop writing? Read: Why Aren't You Creating Content?